Former UQ and Eastern Suburbs back Joe Pincus has been named to make his Australian Sevens debut at next month’s London Sevens tournament. 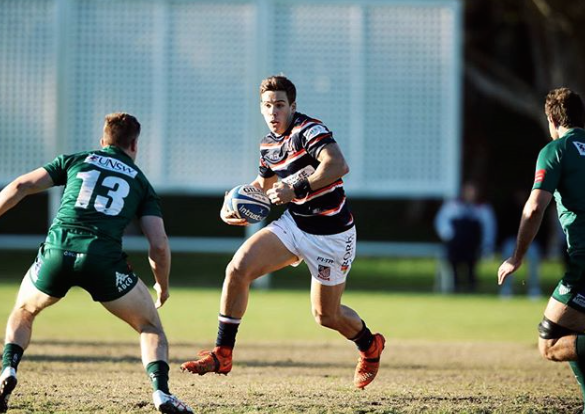 The 21-year old Queenslander moved to Sydney in 2017 and impressed for Easts in last year’s Shute Shield before playing his way into the Australian Sevens development squad. Pincus will play alongside 18-year old former Joeys fullback Triston Reilly, who made his debut earlier this year in Hong Kong. Tim Walsh has also named captain Lewis Holland and former Warringah backrower Boyd Killingworth to make their returns from injury. “It’s great to welcome back Lewis and his experience. I’ve had a large group of players to select from and this has enabled a strong team for the final two legs of the 2017/18 World Series,” new Australian coach Tim Walsh said. “Joe (Pincus) has all the attributes to be a great Sevens player for Australia. He’s done his apprenticeship and has been knocking down the door of selection for a while now and the whole squad is excited to see him make his debut on the Twickenham turf in London. Australia are in Pool B alongside Wales, Spain and Ireland and must finish in the top two to progress through to the Cup Quarter-Finals. “We fell short in Singapore and we don’t accept defeats no matter how they are perceived. We lost only once out of our six games in Singapore but five of those games came down to the last play. “We need to be relishing the moments in pressure games and also learn to put teams away to avoid the games that should not be close,” Walsh said.